Protect your complete IT estate with impressive RPO and RTO SLAs, irrespective of whether your systems are virtualised or not. For many organisations, the idea of implementing a Disaster Recovery solution is seen as an expense that is difficult to justify. However, as the reliance on IT systems increases within every business both large and small, and with new and emerging threats such as ransomware, the need for robust DR has never been more crucial. The dr2cloud platform, powered by Infrascale, has been designed to deliver a comprehensive yet cost-effective Disaster Recovery solution. It protects the complete IT estate, without all of the hardware and complexity. 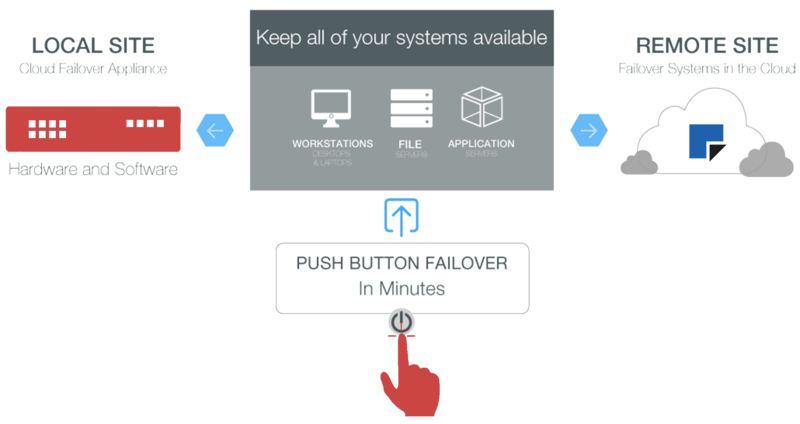 You can failover a single virtual machine (VM), applications, a whole network, or site either locally (in seconds) or to the cloud (in hours). When the cloud and intelligent software join forces, good things happen. It’s how we erase expensive hardware and complex steps from the DR equation, so you can bring your business back to life in minutes. With dr2cloud and Infrascale, you decide how you want to deploy failover for your business. Our DRaaS solution is delivered as a physical or virtual appliance, and includes DR software and flexible cloud storage targeting. On-premise appliance or software-only virtual image. Physical and virtual servers, workstations, laptops and more. Keep data locally and in the cloud for secure storage and failover. Running machines, applications, disks, folders, files and versions. VMs, Physical Servers, Applications and Networks.